Showing recent results 571 - 576 of 576 products found. The L, M and N Series is The VON Corporation’s fully automated, microprocessor controlled glove and sleeve tester. 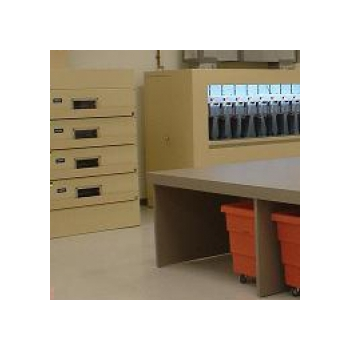 Units allow testing of Gloves, Sleeves, or Line Jumpers. All standard rubber goods can be tested, even class IV. All machine adjustments are controlled via a menu operated microprocessor control system. With a single selection the test voltage, current limit, depth, water fill level, test time, blower speed and exhaust fan speed are set. The operator is required to merely load gloves in the special clothespins, lower the test electrode into the glove and press the start button. Automated water fillers will fill the glove in less than 30 seconds. Tests are timed and an audible alarm sounds failures or test complete, with bright flashing colored lights signaling which position failed, or test complete. The –W option allows use of the VON Hammock method on all positions. An extra wide and long tank allows testing of the sholder portion of sleeves and allows 11” spacing between sleeves. The Net Toner & Probe Kit is a practical telecom and network installation, maintenance and troubleshooting tool. The kit helps you locate and identify wires, pairs and cables. The Net Toner has the unique features of enhancing talk battery power supply to allow communication over inactive pairs, using telephone test sets. It provides two able tones which allow you to trace cable and locate faults for troubleshooting both voice and data circuits. It also tests cable continuity and can determine line 1 and line 2 polarity and voltage in data and voice lines. It features a tone signal, two alligator clips, & 4-conductor (RJ12) modular cable to test telecom, cats cabling, coax cable and bare wires. In continuity mode, when a short circuit is detected an audible sound will be heard (PR-608A only). 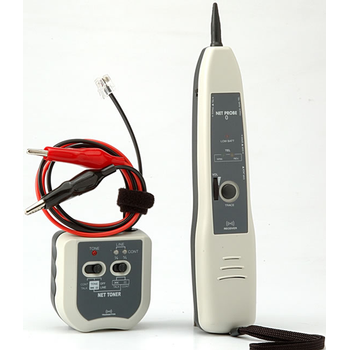 The short circuit test function are only applied to line 1 4/5 when using the RJ12 plug cable. The tone generated by the Net Toner can be easily traced by the Net Probe or any other commercial probe. MA1304CIS-FD - FIRS Technologies(Shenzhen) Co.,Ltd. 1. With its working voltage ranging from 8 to 36V, the anti sleep driving alarm is applicable in a variety of environments. 2. All its parameters are set by the SMS via wireless network. And the embedded 3G model is powerful supporter of data transmission. 3. This product is activated when the vehicle speed and the fatigue degree of the driver reach certain levels. With the driving time exceeding 4 hours, it will give a sound to remind the driver to have a rest to disperse potential dangers. And local audio and visual alarm will send photos and alarm information to back-end management system to analyze. Furthermore, intelligent analysis of recording documents can be shown via the player produced by our own company and the result will be stored in the server or transmitted to the third-party via middleware.4. On the basis of the DSP platform, our anti sleep driving alarm is equipped with 4 CH video input with the combination of 1 CH intelligent function with 1CH monitoring and 1CH intelligent function 3CH. It also supports 1CH audio output and 2 CH OSD video output. 5. The hardware interfaces supported by our product include RS232/485, RJ45, USB and SD. 6. Mobile applications are available in optimized vehicle environments. 7. Standard SDK interface protocol is provided for the easy integration of other vehicle equipment. Ultrasonic sensors – by using high-frequency sound waves to detect the position and distance of objects – excel in industrial environments and applications that can frustrate other sensors. Ultrasonic detection can monitor objects whose surface structure, material, or color/translucence might distort the readings of other sensors. Even miniscule objects can be measured. Regardless of application – ultrasonic distance sensor, ultrasonic level sensor, and more – measurements can be captured with fine-tuned precision. The full line of Hoffmann + Krippner ultrasonic sensors have been exceptionally engineered and designed to accommodate an enormous array of needs, scenarios, and situations. In all cases, the exacting accuracy and ease-of-use of our ultrasonic sensors help users to achieve efficiency gains and streamline processes. 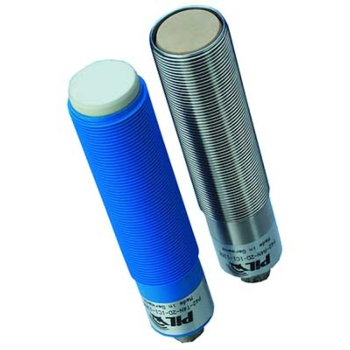 Further, our sensors include popular and widely used designs that have been discontinued elsewhere. If your organization already uses ultrasonic sensors, we likely have the same sensors available for replacement parts and new objects. Please see the cross-reference charts at the bottom of this page for more information. 1. 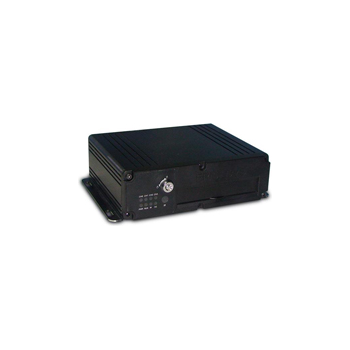 Safety / use of die-cast aluminum alloy waterproof, explosion-proof shell; the explosion-proof grade of the instrument reaches Exd (ia) IIBT4 2. stable and reliable / we choose high-quality module key components from the power supply Part of The Circuit Design Stable and Reliable Devices CAN Completely Replace imported Instruments. 3. Patented Technology / Ultrasonic Intelligent Software CAN with Carry OUT Intelligent echo Analysis, the without the any the debugging and OTHER Special Steps, the this Technology has The function of Dynamic Thinking, Dynamic Analysis 4. High precision / sound wave intelligent patent technology owned by our company, so that The accuracy of the ultrasonic level gauge is greatly improved, the liquid level accuracy reaches 0.3%, it can resist various interference waves, the failure rate is low, the installation is easy, and the maintenance is easy. 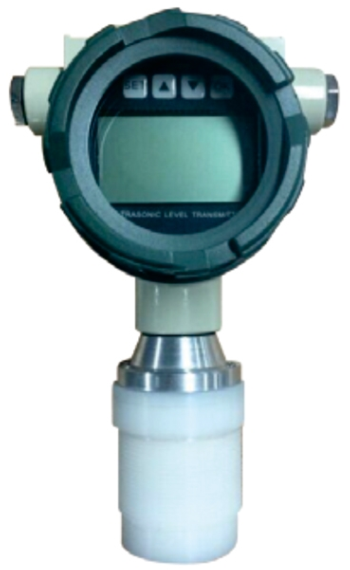 The instrument is a non-contact instrument and does not directly contact with liquid. Users can use this manual to calibrate the instrument. 6. The protection level of multiple protection/instrument reaches IP65; all output and input lines have lightning protection and short circuit protection.